The air smells crisp and fresh, the leaves are changing, sandcastles have fallen down and beach balls have given way to pumpkins and footballs. October is exactly one week away and it can only mean on thing - Autumn is here! There is one other way we know the seasons have changed. Cobbs cafe, located here in the historic courtyard of Wilton Shopping Village, have some delicious new additions to their menu. Would autumn really be complete without a rich, creamy and chocolatey libation to hold in those cold hands? The answer is no - and Cobbs haven’t just brought out one but two of these treats. Their first autumnal beverage is sweeter than a baby eating candy floss. 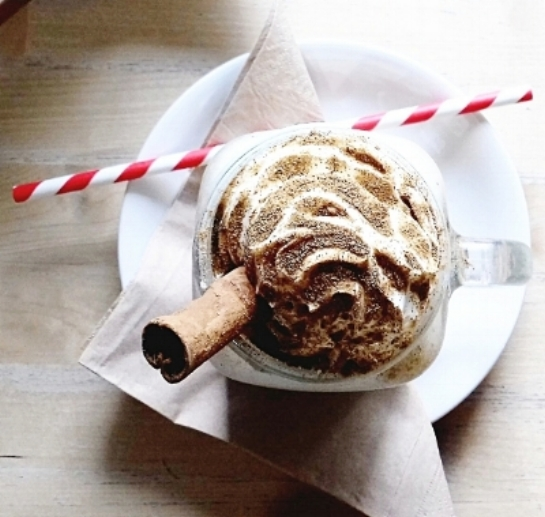 A Bonfire Toffee Apple Hot Chocolate, topped with a flake. This drink is just a complete sense of all things representing this season. Warm, comforting, topped with lots of cream and a perfect companion after those long and chilly walks around those country lanes with the family. Cobbs second beverage has been labelled ‘the autumnal mug of goodness’; the slightly more traditional S’mores Hot Chocolate. Everyone has those childhood memories of feeling those tiny marshmallows melting on their tongue as they snuggle further into their enormous coat.